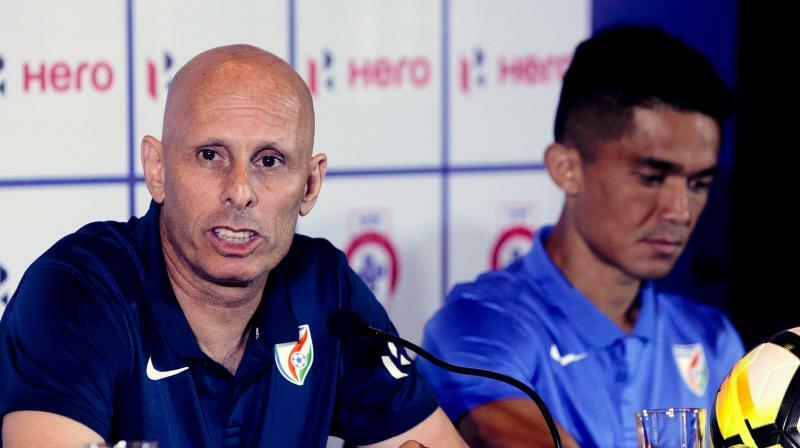 Sharjah: India may have missed a maiden qualification into the knockouts by a whisker, but former coach Stephen Constantine says the team's spirited showing in the Asian Cup football tournament has earned them respect, which they never had. Starting AFC's continental showpiece event with a stunning 4-1 demolition of Thailand, India's campaign ended in heartbreak, as Bahrain relied on a late penalty to emerge winners here on Monday night. "We were unlucky, to concede a penalty in the 91st minute is heartbreaking. But it shows everybody in India that we are capable, we have belief which we never had, we have respect which we never had and we have the determination," Constantine told PTI. "It's there for everybody to see. I wish nothing but the best for players, for the Indian federation and for the fans who support us." This was Constantine's second stint with the Indian side after having been at the helm between 2002 and 2005. Though he would have love to advance in the tournament, Constantine seemed content with his players' effort. "They passed the expectations. It's not a question of they didn't live up to the expectations, they passed all expectations. I don't think anybody believed me when I said that we would qualify in 2015, I don't think anybody believed that we could qualify form the group. They believe now," he said. "The performance is a testament to a lot of hard work from a lot of people, players, staff. And of course the memorable win against Thailand I don't think people will forget that in a hurry," he said. "I will head back to India and go and speak to Mr (Kushal) Das (AIFF general secretary) and thank him for his support. And my contract finishes in 10 days so it's time. "I am going to go home. Spend some time with the family, lay on the couch and watch the best of Asian Cup. I think it's been a good four years, tough, difficult." ■Sunil Chhetri removed as India captain due to rift with Stephen Constantine?